I picked out my outfit centered around my skirt. 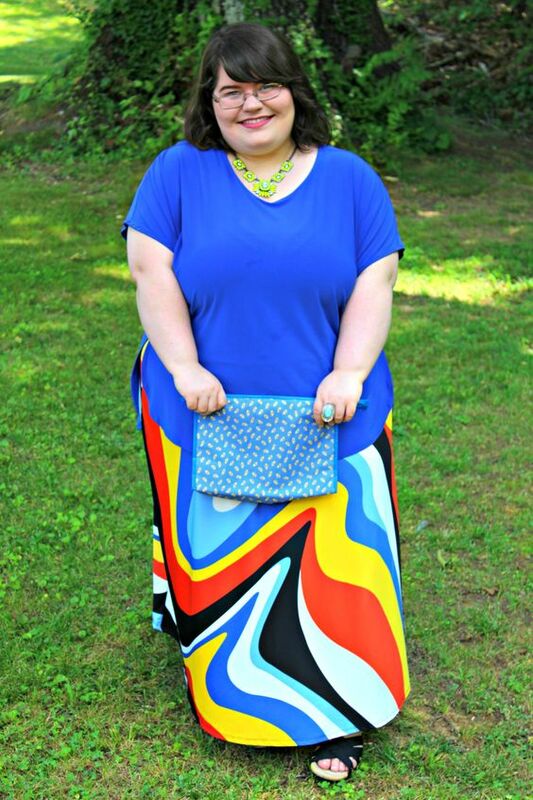 This skirt is so unique with its marbled design and various colors. I love that there are a few different shirts that you could wear with it as well as accessories. I love pieces that are versatile and can be worn different ways with different pieces. I was given this skirt as a hand-me-down quite a long time ago and I still love it. Of course, I had to throw on my newest yellow statement necklace. I really love that thing. 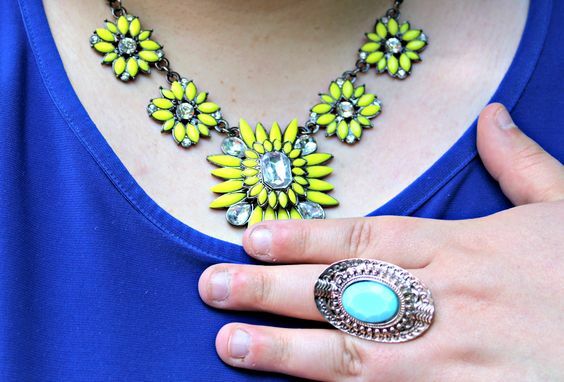 Statement necklaces are one of my very favorite things to wear besides rings. I can never have enough of them! 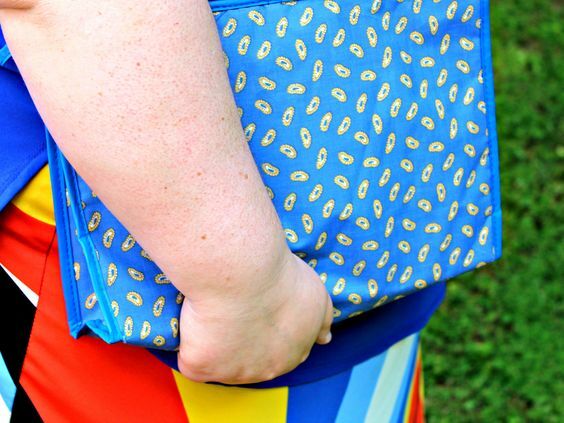 I carried my vintage clutch as I thought the pattern mixing looked pretty cute. I have never worn this clutch with this skirt and I ended up liking it. The print on the clutch is small enough that I feel like it works with the skirt without clashing. I'm a big fan of pattern mixing anyways, so I had to try it! Do you like mixing prints and patterns? CUTE AND COLORFUL LOOK! LOVELY! This skit is just marvellous! 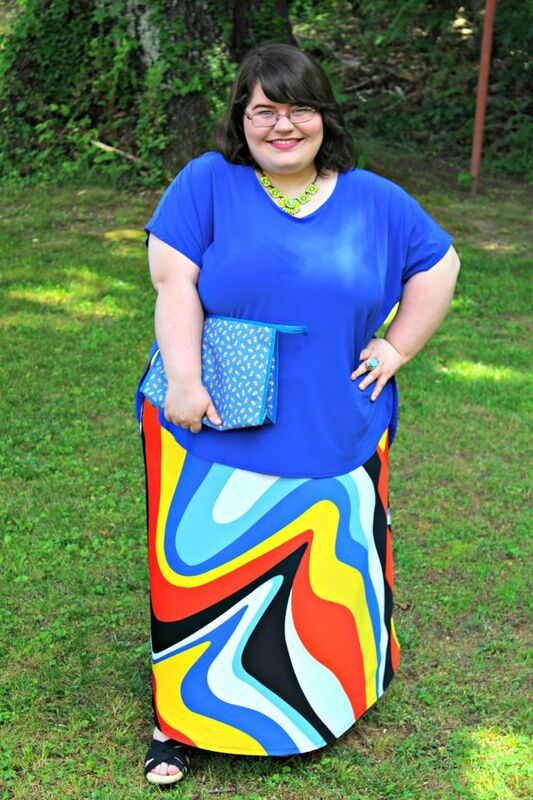 Print mixing is so great and of course I like it!